Meet Don, this weeks Ancon Staff Spotlight! 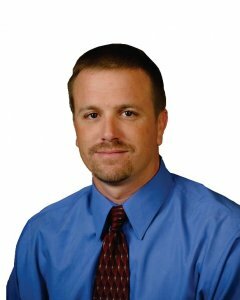 Goshen, IN-Don Carrico serves as the Operations Manager and Safety Director at Ancon Construction. Don spends countless hours making sure that all of Ancon’s jobs are adequately staffed and running smoothly – ensuring the best overall product for our customers in the shortest time possible. He also helps ensure the safety of Ancon’s field employees by monitoring job sites and conducting safety training when necessary. Don holds OSHA 10-hour certification relating to scaffolding, forklifts, scissor lifts, trenching & shoring, confined spaces, and many other areas of construction. 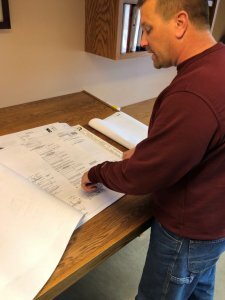 During Don’s 20 years with Ancon Construction he moved from sweeping floors to working as a journeyman steel worker and foreman, eventually taking on his current role of Operations Manager and Safety Director. Don takes great pride in completing a job on time and under budget, knowing that the finished product is second to none. Even outside of his work at Ancon, Don is active in our community. He works part time as an on-call fire fighter for Southwest Central Territory in South Bend, filling in when full-time employees take time for vacation and when the department is short on manpower. When he isn’t working, Don also enjoys riding ATVs and his Harley touring bike, camping, and spending time working around the yard and house. Don has two children. His son, Don Jr., is a junior at Mishawaka High School and his daughter, Taylor, is a Purdue grad who lives and works in Chicago. Don and his wife, Shauna, have been together for 12 years and married for 5. They live in South Bend. Don looks forward to the next 20 years and retiring to a warm climate! Don is a huge asset to Ancon, its customers, and the community and we are glad to have him as part of our team.